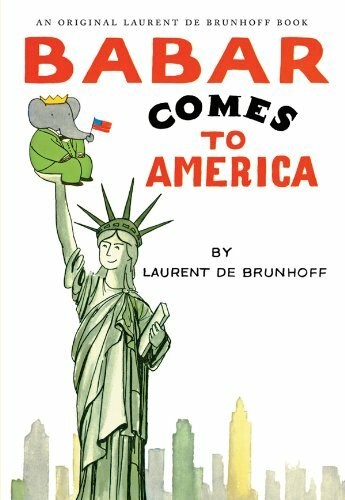 Originally published in 1965, Babar Comes to America is one of Laurent de Brunhoff's most popular books, and it is in print again for the first time in many years. Babar, king of the elephants, receives an invitation to meet with the president of the United States- the perfect excuse for a family vacation! None of the elephants have been to America before, so Babar packs up his family and sets off to see the sights. From the hustle and bustle of New York to the wide open spaces of the Grand Canyon, from riding streetcars in San Francisco to fishing on Lake Michigan, Babar and his family experience America in all its glory and splendor. 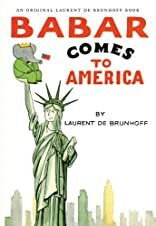 With Laurent de Brunhoff's thoughtful observations and lovable characters, which have made Babar a household name since 1931, this nostalgic look at the USA more than thirty years ago will captivate young readers as they marvel at how much has changed, while adults will take a trip down memory lane and see sights, signs, and more that had been forgotten.